We know that financing your new Honda vehicle can be a stressful experience. That’s why the dedicated professionals at Excel Honda's financing department do everything in their power to make it as easy and enjoyable of an experience as possible. Whether you’re looking to finance a new Honda Civic, Accord, CR-V, Fit, HR-V, or the new Honda Ridgeline, our financing department will work hard to get you the very best financing or leasing deal. Our team of specialists are always available to answer any questions that you may have concerning financing your next vehicle. We provide you with a wide range of financing services as well as extended warranties and protection products that are designed to give you added peace of mind. Come into Excel Honda today and see how our dedicated experts in the financing department can help you finance your next Honda vehicle. We have a variety of financing and leasing solutions available for you, as well as special offers. 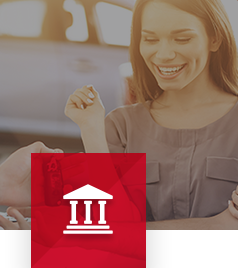 Start your financing application today online, or contact us and let a financing expert at Excel Honda help you start the financing process today.